Being away from ballet made Dawna Reign Mangahas realize dancing is what she truly loves to do. She brings to life the Sugar Plum Fairy in The Swan, The Fairy and the Princess. Without a doubt, The Nutcracker is the most popular Christmas ballet of all time. In this endearing tale, a girl named Masha is given a nutcracker by her godfather for Christmas. She falls asleep and dreams that the unlikely gift changes into a handsome Prince who takes her on a fabulous journey to the Kingdom of Sweets. Here they meet the Sugar Plum Fairy – the Queen of Confections – who will be brought to life by Ballet Manila principal Dawna Reign Mangahas in the upcoming production of The Swan, The Fairy and the Princess. In Carmen, Dawna plays the title role of the seductive temptress. 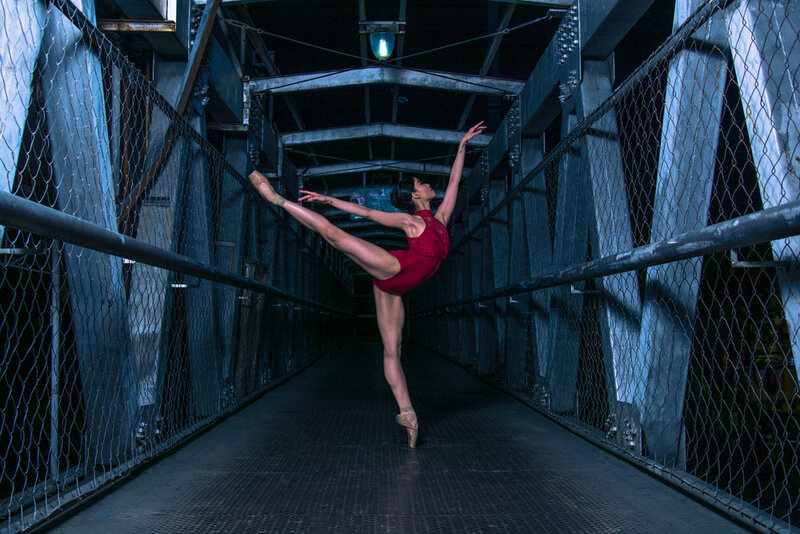 Cited by Dance Magazine Europe as one of its "Dancers to Watch" in 2014, Dawna is known for her profound artistic expression, technical precision and unmistakable confidence during performances. Few would ever guess that it is the same girl that typically breaks down in tears right before she goes onstage for a difficult classical role like the Sugar Plum Fairy. Dawna turns in a sensitive portrayal of Corazon Aquino in Martin Lawrance’s Rebel, opposite Mark Sumaylo as Ninoy Aquino. When The Swan, The Fairy and The Princess was first performed by Ballet Manila in 2009, Dawna had just moved up the ranks from trainee to company member – good enough to join the production’s corps de ballet. Earlier that year, she also placed second in the Junior Division of the National Music Competitions for Young Artists (NAMCYA). However, despite her obvious potential, Dawna’s first years as a professional ballerina were quite tentative because she had to divide her attention between school and studio. Thankfully, her perseverance paid off and in 2012, after presenting her parents with a diploma in BS Nutrition and Dietetics from the University of Santo Tomas and securing the requisite board license to go with it, she was finally free to dance to the music of her heart. Annabelle Lopez-Ochoa’s breathtaking piece, Bloom, features Dawna in the lead. On top of her steadily growing repertoire of classical and contemporary roles, Dawna brought home the Bronze Medal in the Senior Division of the 2013 Asian Grand Prix in Hong Kong, together with a Silver Medal in the Pas de Deux Division (with partner Elpidio Magat) and a special citation. Within two years, she soared to principal status and was given the privilege of leading the company in the world premiere of Annabelle Lopez-Ochoa’s Bloom, a breathtaking piece especially commissioned for Ballet Manila’s 20th anniversary concert in February 2015. Ironically, by the time the 20th season opened in August, Dawna was nowhere in sight. Ever the dutiful offspring, she had gone to the US to join her mother in what she now describes as the “longest three months” of her life. Dawna and fellow Ballet Manila dancer Abigail Oliveiro guest in Art 2 Art, a program hosted by their mentor and artistic director Lisa Macuja-Elizalde (left) in 2014. And return she did, just as BM opened its next performance season. Thankfully, she was welcomed back with open arms and offered a contract to continue as principal dancer. Dawna admits her confidence sagged when she realized how far she had fallen behind compared to the new ballerinas that emerged during her brief but critical absence. 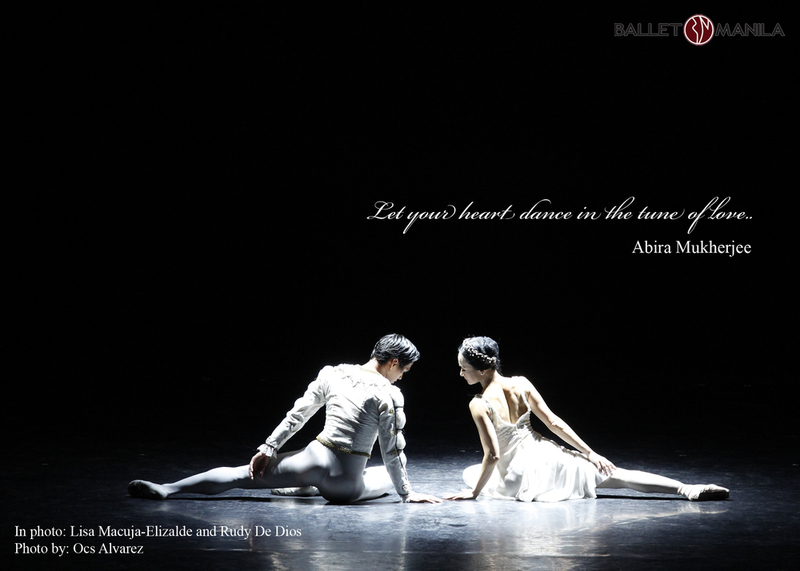 After The Swan, The Fairy and the Princess, Dawna steps into Cinderella’s shoes with Alfren Salgado as her prince. Featuring guest artists Mikhail Martynyuk of the Kremlin Ballet, stage actor Miguel Faustmann as Peter Tchaikovsky, and the Manila Symphony Orchestra under the baton of Maestro Alexander Vikulov, Ballet Manila’s The Swan, The Fairy and The Princess goes onstage on October 14 and 15 at 8 p.m. and on October 16 at 3 p.m. at the Aliw Theater in CCP Complex, Pasay City. Tickets are now available at TicketWorld Manila via www.ticketworld.com.ph or through (632) 891-9999. Dawna gets to dance with her boyfriend and fellow principal dancer Rudy De Dios in Francis Jaena’s Pangarap, a piece in the production Kay Ganda ng Ating Musika.